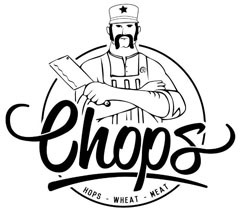 New burger place: CHOPS | eat me! 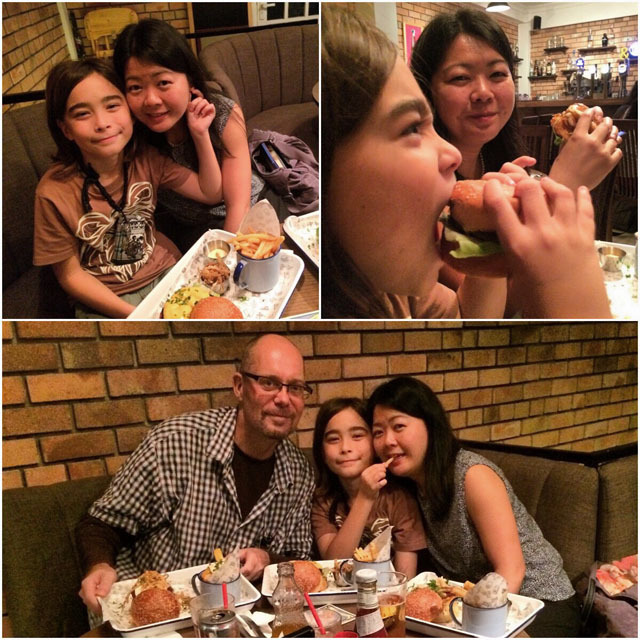 Avid readers of this blog (yes, both of you) might think we are burger crazy .. and to some extend this might be true, but I think we just simply enjoy eating ourselves through different kinds of cuisines, and burgers are just a part of this. We had a nice cross section: classic for kiddo, wife had the A-Porkalypse (slow cooked vnese pork belly) and liked it a lot and forgave them for not having any halloumi tonight (she wanted the chick pea / halloumi burger initially) and I enjoyed one of the best lamb burgers I have had so far. Only thing there (and that might have been a soft opening glitch) was that it came with a really nice slice of feta cheese, while the menu says ‘feta tzatziki’, which in my book is a garlic-y yoghurt sauce, not to be found on my burger. But never the less, the flavor was awesome! The buns are .. hmm .. a bit strange, might be off putting for some burger purists, but they were very tasty … also, the burgers are a bit on the small (but tall!) side, for those who want to compare. 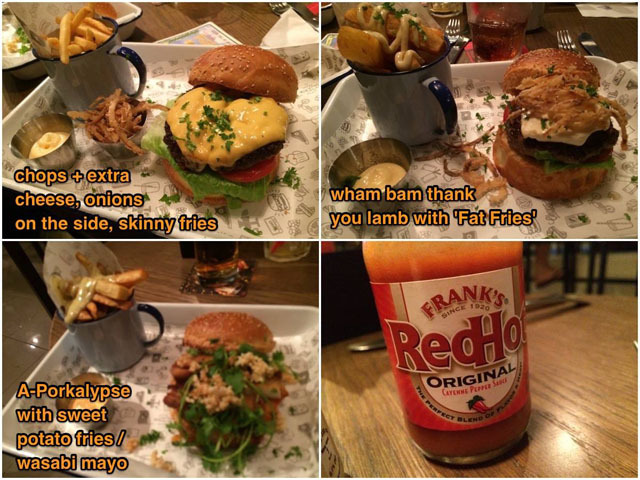 But I actually like the option of not being totally stuffed after a burger. Service was nice and attentive.